There’s so much hype around wedding dresses, deciding what dress to wear can be overwhelming. But it can also be fun — if you make it. 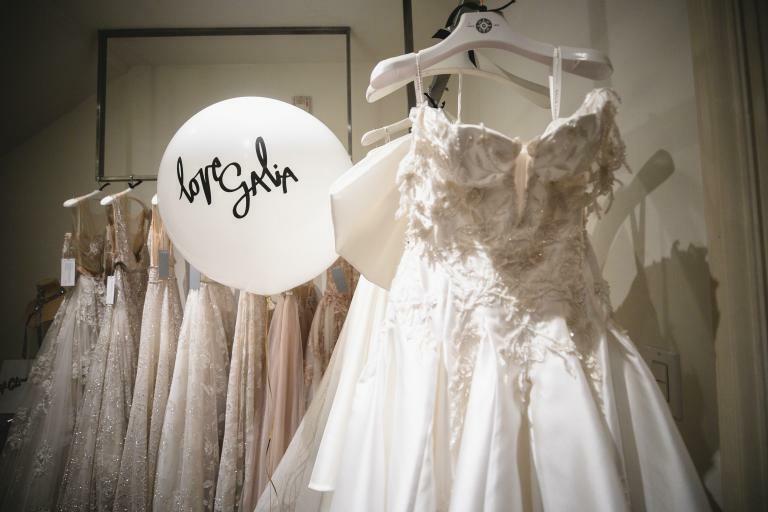 Here are some tips from stylist Ayoka Lucas for making your wedding dress shopping as enjoyable and stress-free as possible. 1. Start six to nine months in advance. Getting a wedding dress is a long and involved process, and you want to make sure you have time to fix any problems that rear their heads. Lucas recommends starting nine months before your wedding if you can, or at least six. 2. Decide on your wedding aesthetic first. You’ll want your dress to match the overall aesthetic of your wedding. More classic decorations may call for a more classic dress, while edgier ones may call for something more unusual. “Once a bride decides on her wedding aesthetic, then she can start looking for the perfect dress for that setting,” explains Lucas. 3. Choose what type of dress you want. Lucas breaks down wedding dresses into seven common types: Princess (ball gown), A-line, Sheath, Trumpet, Mermaid, Tea length, and Mini. Narrowing it down to one style will make your first trip to the store less overwhelming. Another way to narrow down your options is to figure out what details are important to you. 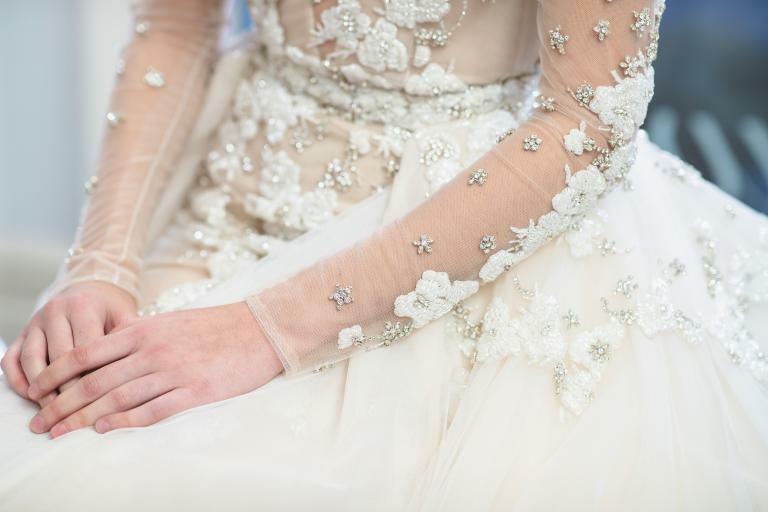 Some details you’ll find in our gowns, for example, are embroidered flowers and beaded straps. The details can make or break the gown, after all. 5. Come at it from all angles — literally. When you look in the mirror, you typically look at the front of your body. But your wedding guests — and those viewing your wedding photos — will be seeing you from every angle. Lucas recommends taking photos to see what you look like in your dress from different angles. “Looking in the mirror doesn’t capture everything in detail like a photo,” she says. 6. Show your friends the finalists. Lucas recommends visiting stores by yourself first, then coming back with two or three trusted friends once you’ve found a few favorites. Their honest opinions may help you make the final choice, though you should put your own preferences above anyone else’s. 7. Get it custom-made for your body. Once you’ve picked a dress, you’ll ask the store to get it in your specific dimensions, then come back for a fitting to see if it needs to be adjusted further. You should aim to get your first fitting three months before your wedding, your second a month later, and your third three months before your big day. 8. Enlist someone to take care of your dress.